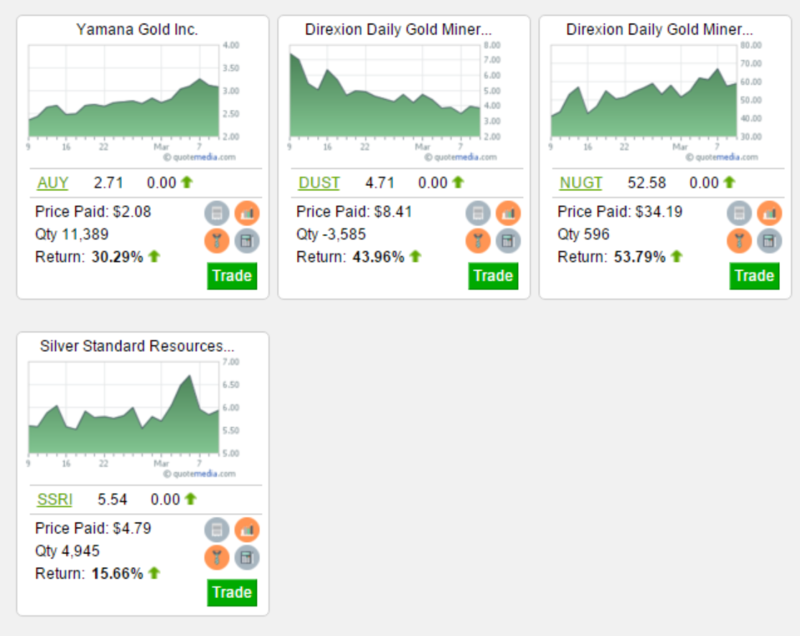 I made 4 trades at the start of the month all based on gold being undervalued. I suspected a medium term rally and I therefor bought leveraged gold stocks/etf. 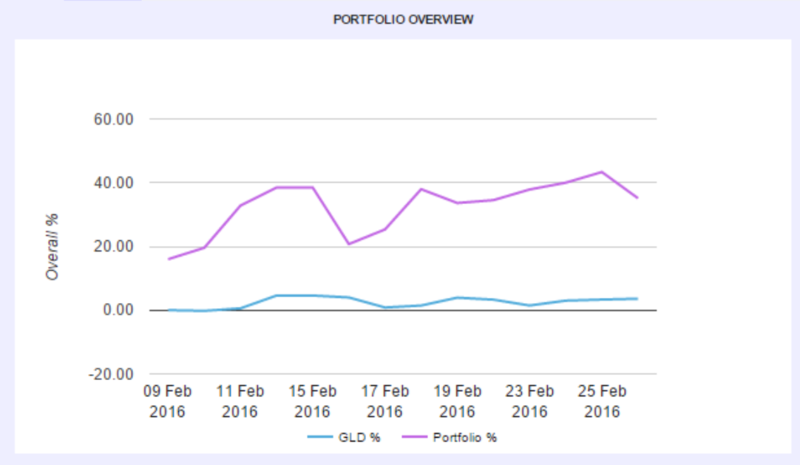 The only reason I made 4 trades was because I was forced to only have so much % of a stock allocated to my portfolio. The specific bets I made were silver standard/yamana. 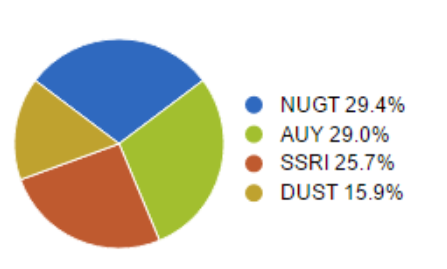 As well as leveraged ETF NUGT, I short sold DUST.